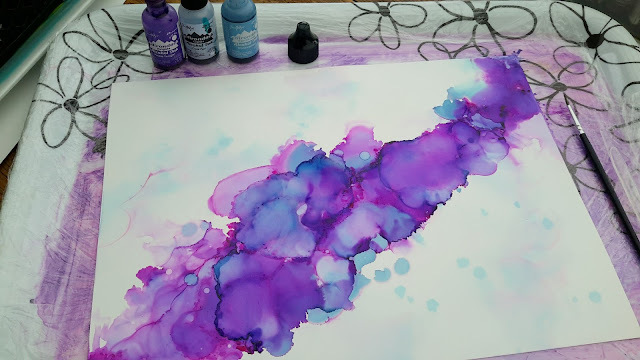 On this one I used Cool Peri, Stonewashed, Raspberry and Purple Twilight inks from Adirondack. I also used 91% Isopropyl alcohol and a 9" × 12" sheet of Yupo. 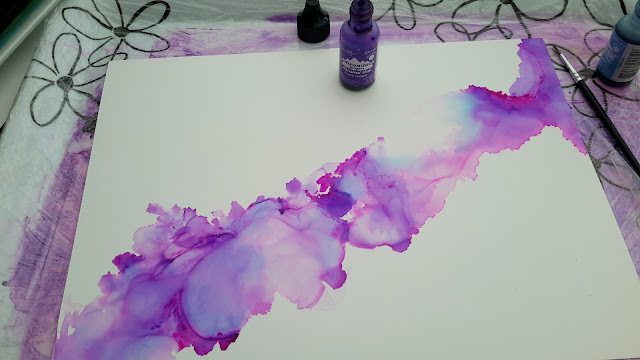 I started by drizzling the alcohol over my paper and then added a few drops of ink diagonally across the sheet. 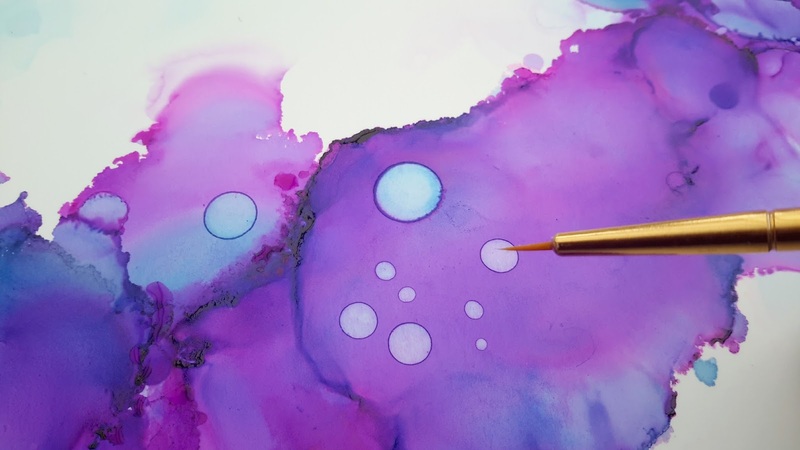 With my air spritzer, I smooshed the colours about to create an airy background. I then repeated the process with more ink drops and alcohol until I had the intensity of colour I was looking for. 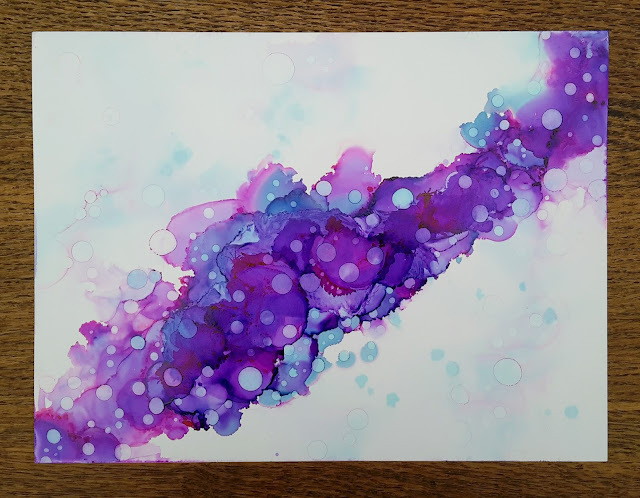 With the finest of paintbrushes, I added a dotty effect with the alcohol and the teeniest amount of ink, dripped onto the bristles. ...and here's what the finished piece looks like when it's framed. Wow..nice smooshing and alcohol drops..and OH!..I can see a fairy, no two of them..I like this one with Fairies in it..so pretty and beautiful vibrant colours. 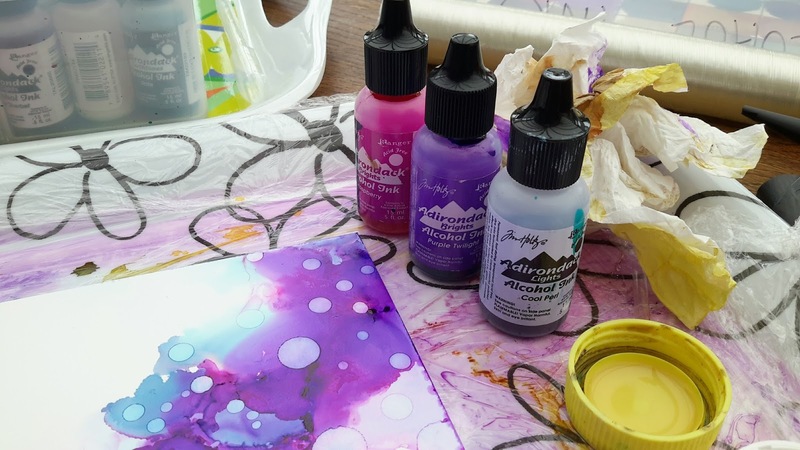 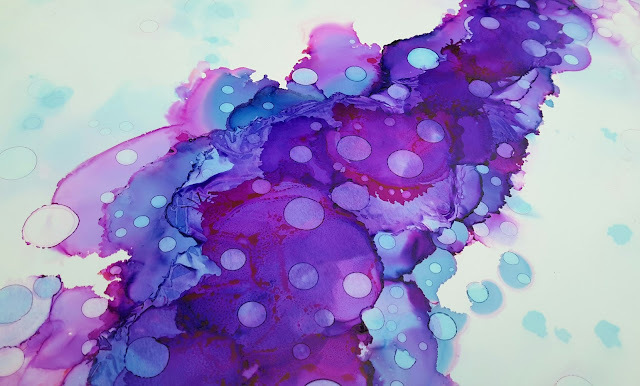 Janey, thank you for posting about your beautiful alcohol ink creations, have enjoyed looking at them. 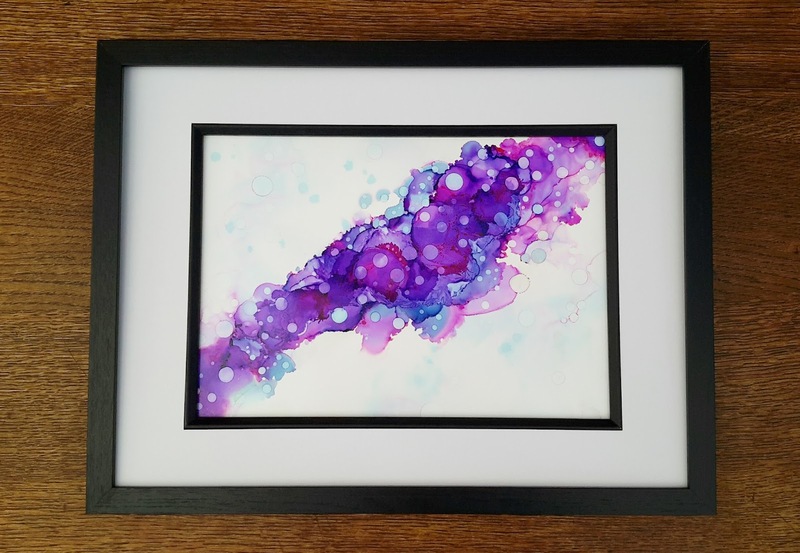 Do you do the framing yourself or have them framed?